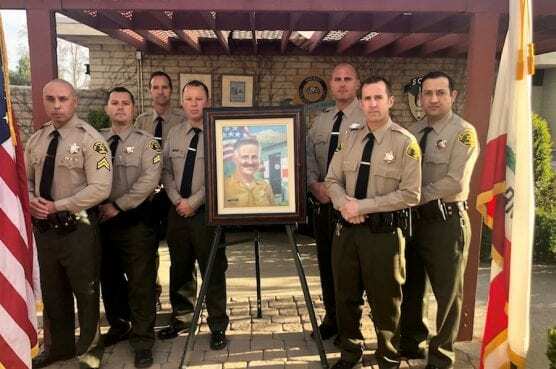 Santa Clarita Valley Sheriff’s Station is honoring a fallen deputy. Forty-one years ago, SCV Sheriff’s Deputy Arthur Pelino was shot and killed by a mentally deranged suspect. Pelino, a resident Gorman deputy, had transported the suspect back to his office on March 19, 1978. During the booking process, the suspect started to struggle and was able to get Deputy Pelino’s service weapon, using it to fatally shoot Pelino. Deputy Pelino had been with the Los Angeles County Sheriff’s Department for 21 years and left behind a wife, three sons, and three daughters. His spouse, Patricia Pelino, passed away on April 21, 2018. Santa Clarita Valley Sheriff’s deputies swear under oath to dedicate themselves to serve and protect our community. Each day, our deputies put their lives on the line. Deputy Pelino will never be forgotten by his Sheriff’s Department family. On Tuesday, SCV Sheriff’s patrol deputies will be seen wearing a long-sleeved uniform and black tie, in honor of Deputy Arthur E. Pelino.